They don't look like samosas. But, believe me, they are. And fried papads, dhaniya chutney and ginger tea. 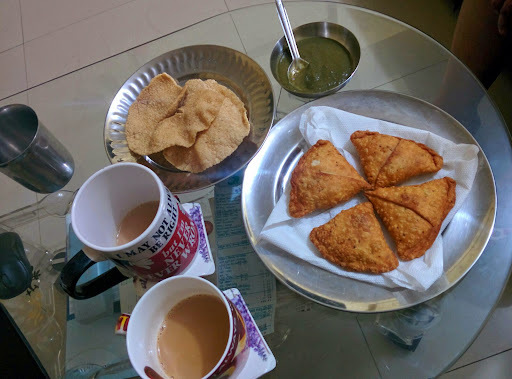 On a rainy evening weekend, what more do you need? The TV was playing some old movie. Govinda's and Kader Khan's double role. Don't remember the name.